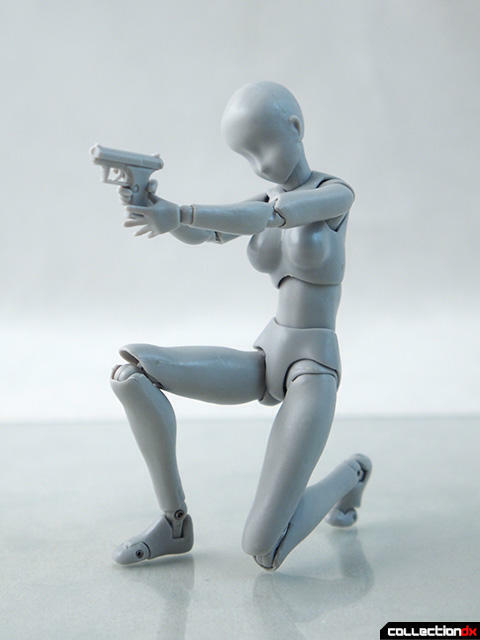 Body Chan is a type of S.H. 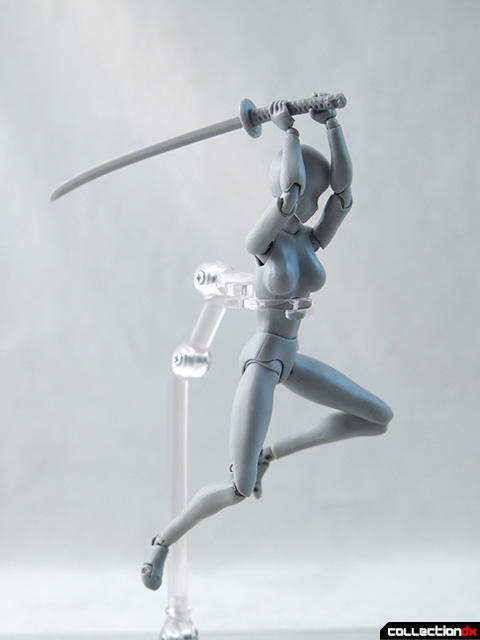 Figuarts designed with the artist in mind. 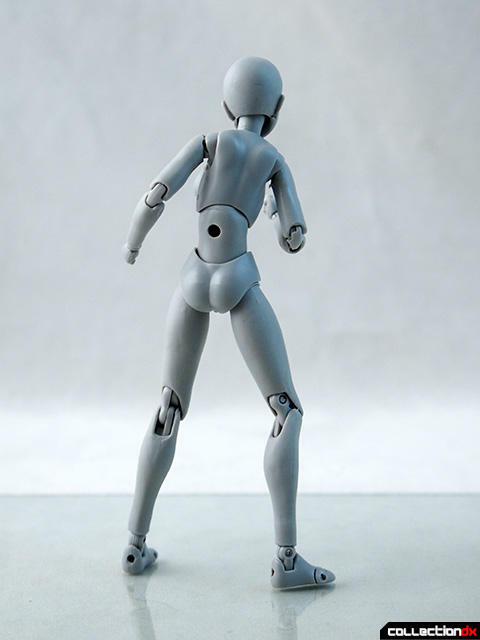 They are generic blank poseable figures that can used a s blank canvas for digital illustration. 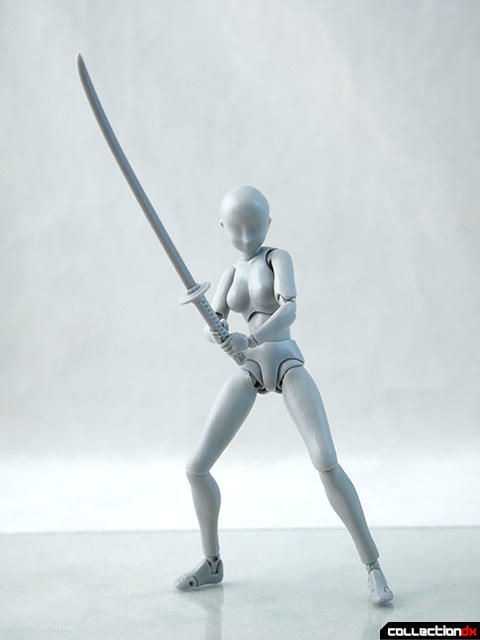 These figures come in regular or DX sets, in male or female configurations, and in three different colors (grey, black and tan). The box is compact and well designed. 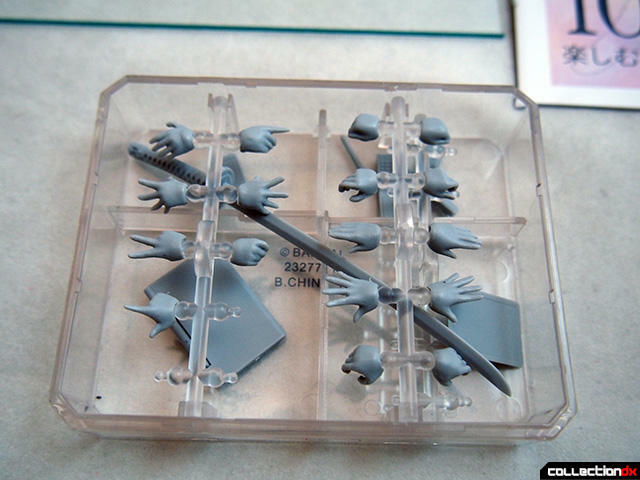 Inside is a plastic tray that holds all the accessories. 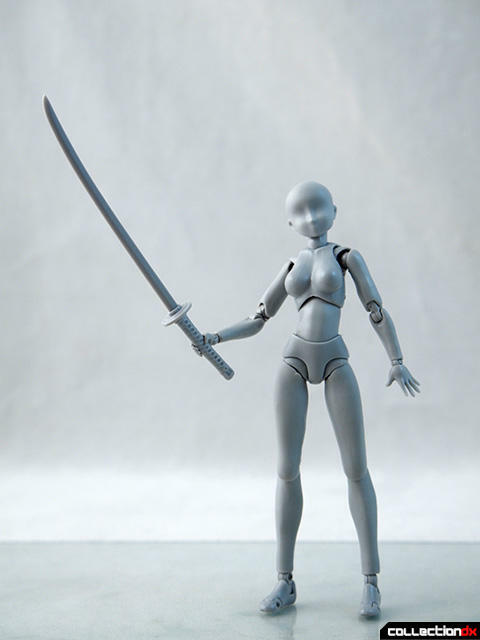 Included with the set is the figure, various weapons and hands, stand, instructions, and usage guide. 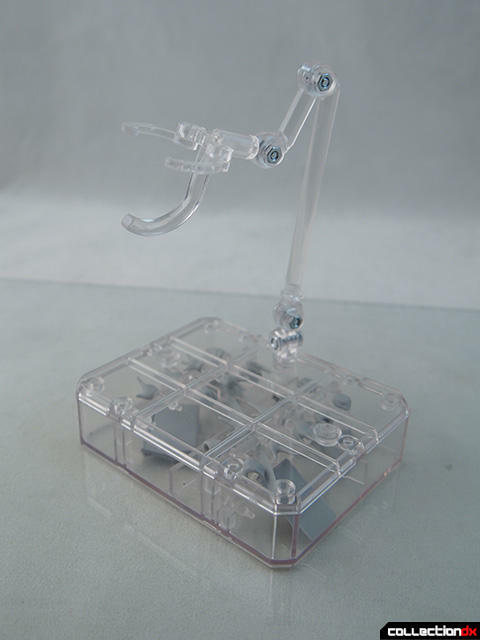 The stand uses your basic Tamashii Stand parts, but the base opens up for storage for all the parts. 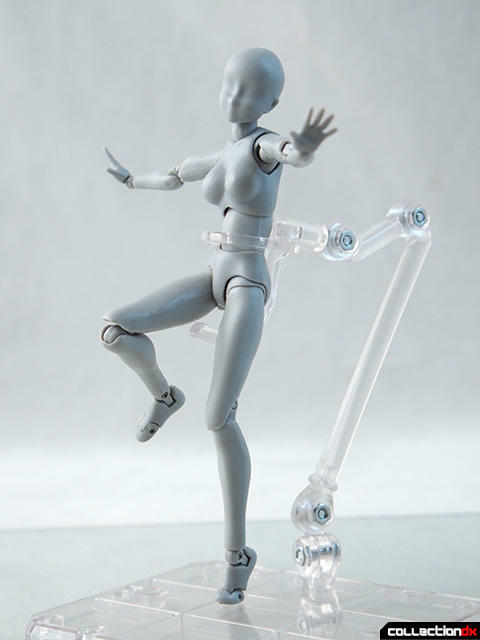 The figure is super-articulated, and can replicate a variety of poses. 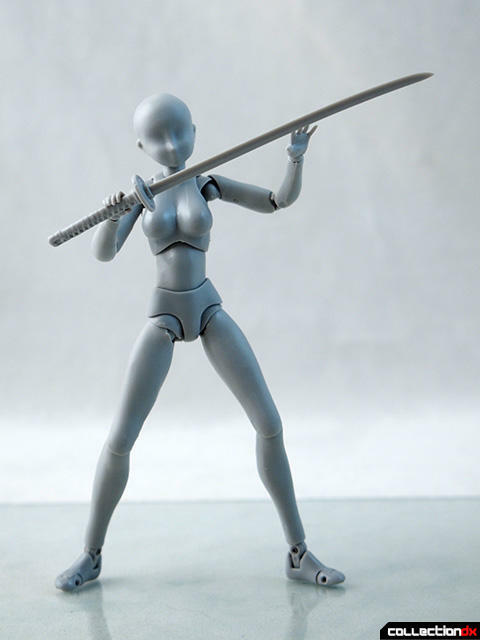 The shoulders and hips have an extra sheath that covers gaps left from the joints. These sheathes can sometimes require a little coaxing to get into the correct position. 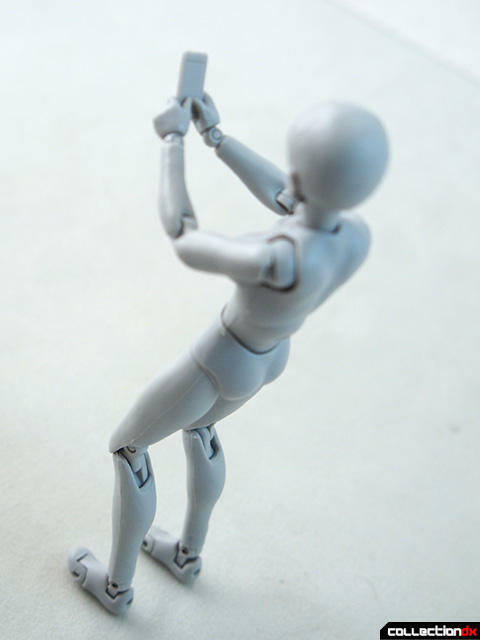 The various hands give personality to the featureless figure. 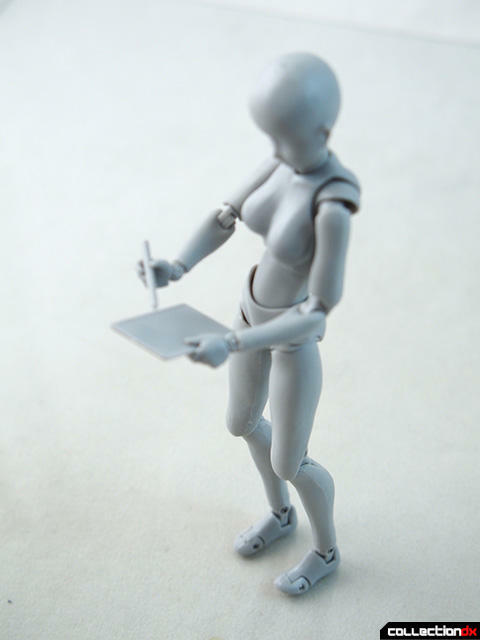 Some hands are for holding the accessories, but others are simple gestures that can be useful for illustration purposes. 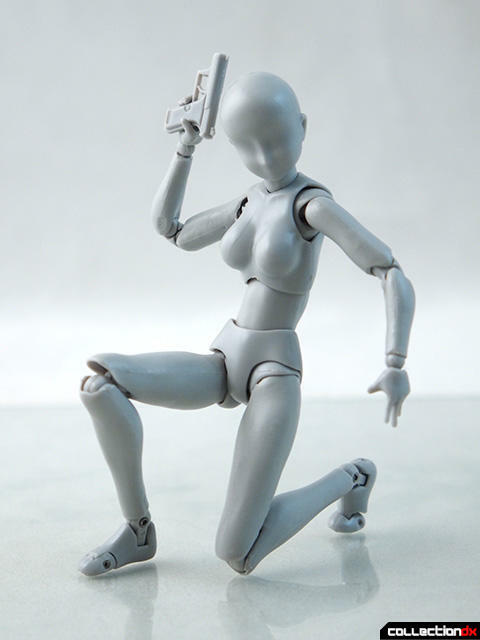 The accessories help in depicting common poses for the figure. 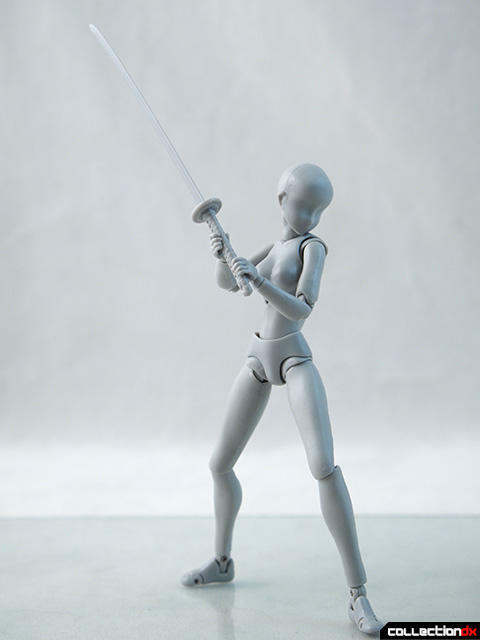 Holding a phone, a tablet, or a... Katana? 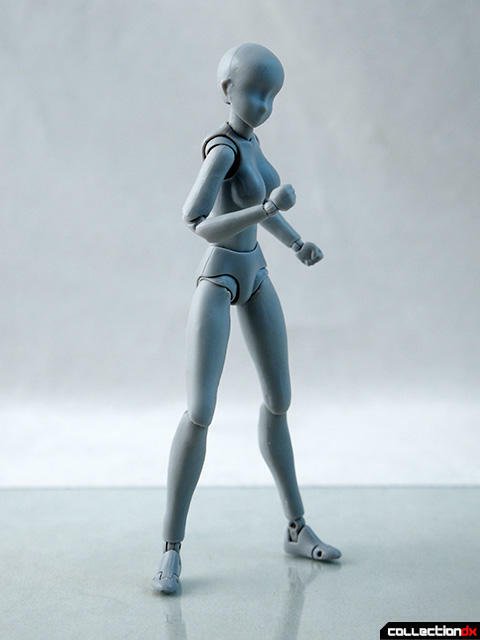 Having a figure purely for posing gives you a new appreciation for the art of posing the figure. 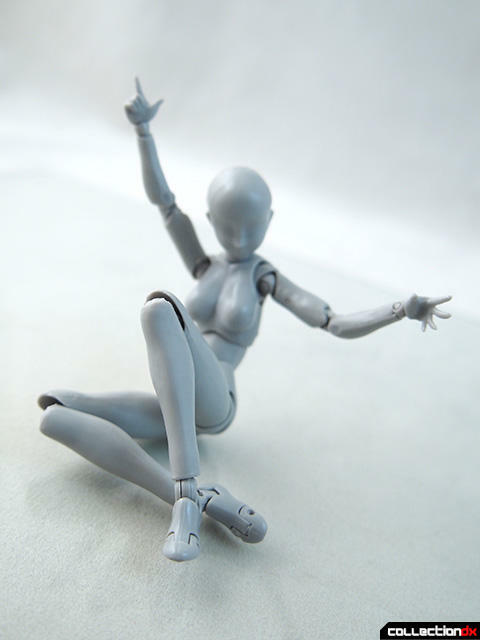 Making a toy look like it's in a realistic human pose is harder than it looks. 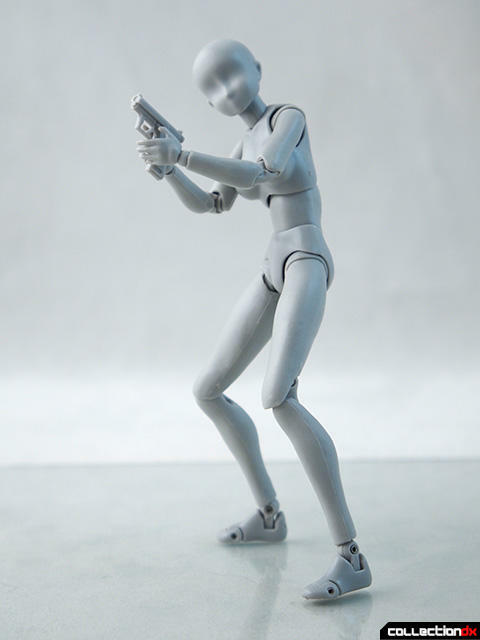 It's easier for action figures to have wide, crotch-thrust action stances, but much harder to accurately pose talking on the phone. 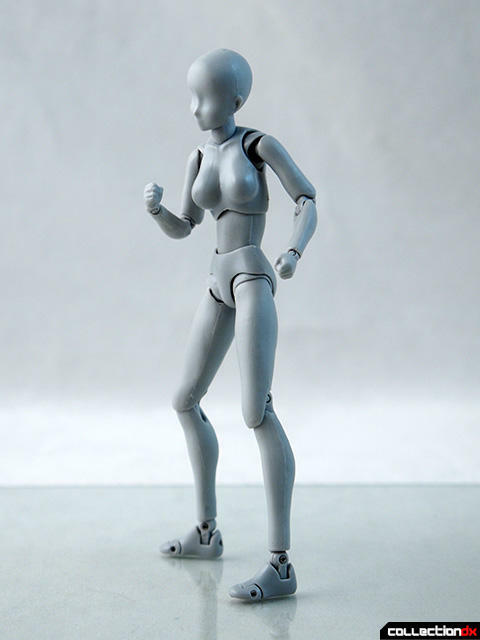 Body-Chan is designed to be a model for digital illustration. 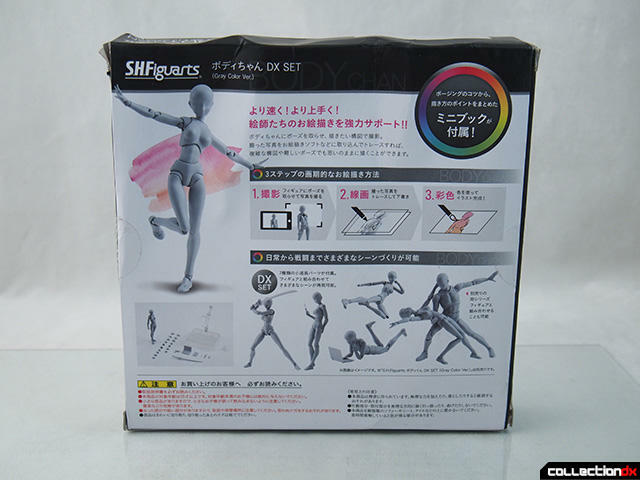 The included book shows how to take a picture of the figure with your phone, import it, and then use it is a base for your artwork. 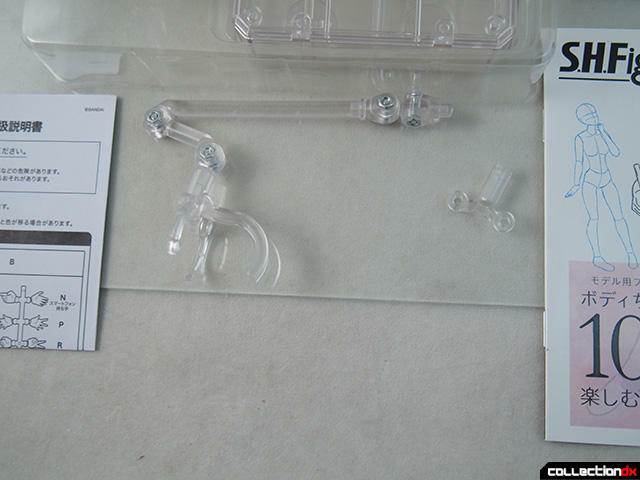 The included accessories speak to the type of characters Bandai thinks it's audience is going to create. Laptops, cell phones, guns, and peace signs. 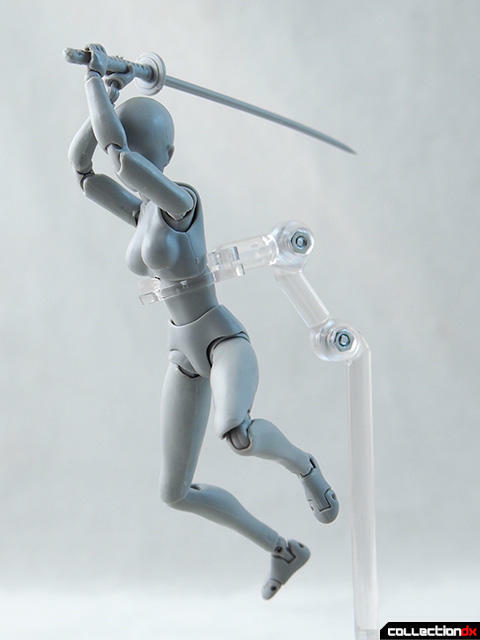 The stand can attach to the figure in three ways. 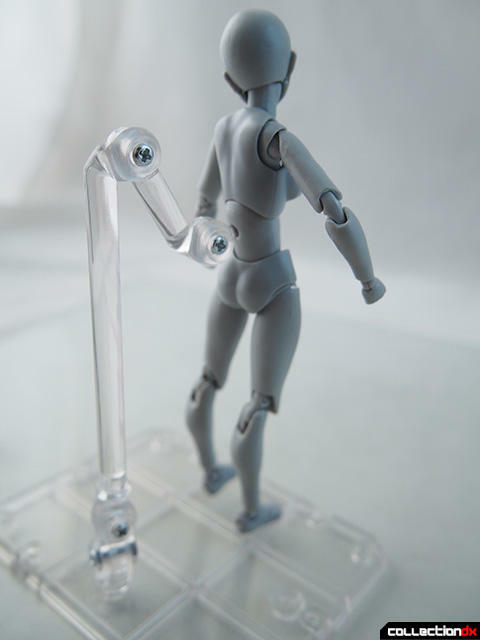 First, it can simply plug into the hole in the back. 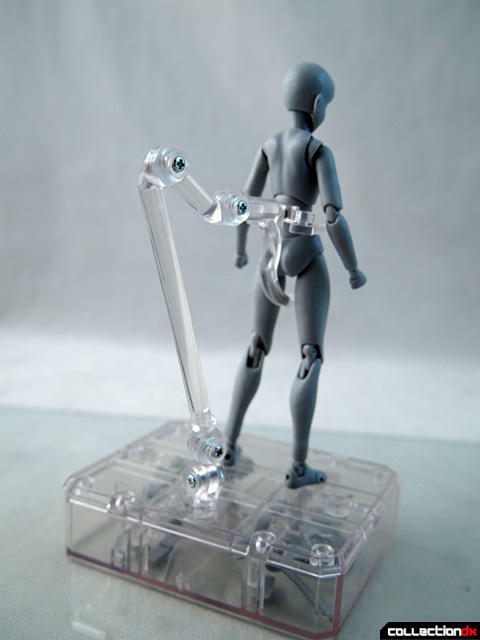 Or you can use the attachment with the crotch support. 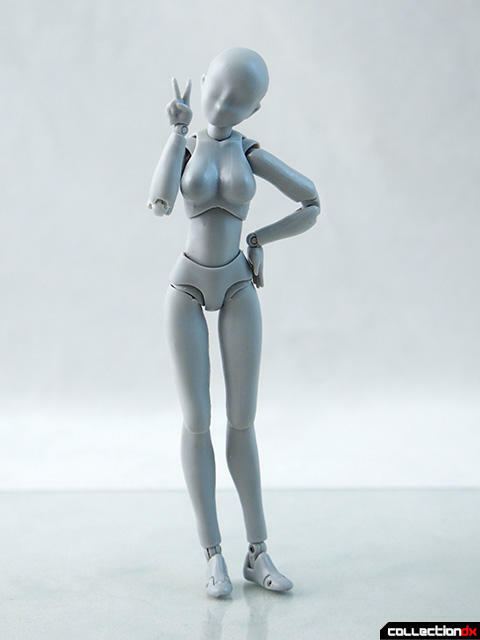 Body-Chan is a big step up from the bulky wooden artist models that we've used for years. This version not only features updated styling, but is compact enough to travel in your art box wherever you go.